Coastal structures are designed with help of books, manuals and guidelines. Through his experience in research and subsequent publication of results Van der Meer has been involved in writing many manuals and guidelines. The most recent ones are a book on berm breakwaters and the second version of EurOtop, see below. Full design information was lacking for berm breakwaters. 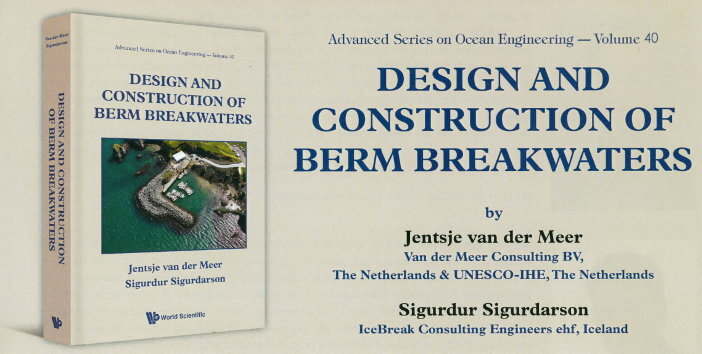 Van der Meer and Sigudarson have written a book, published by World Scientific, on: Design and Construction of Berm Breakwaters. See for more information www.worldscientific.com. A design spreadsheet is available to design the conceptual cross-section of a berm breakwater. 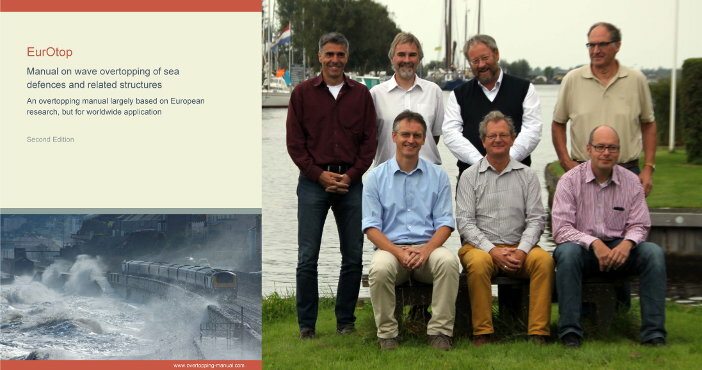 EurOtop (2018) Manual on wave overtopping of sea defences and related structures. An overtopping manual largely based on European research, but for worldwide application. 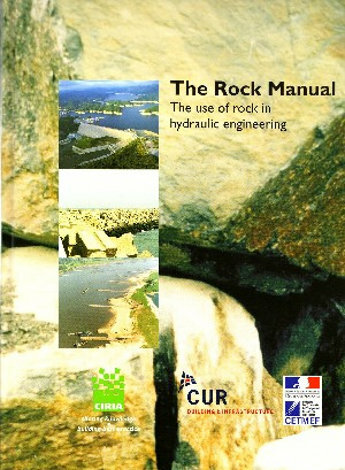 The first manual (EurOtop 2007) became a large success through its applicability in practice and through the fact that the Manual can be downloaded for free. The second edition EurOtop (2016) is a large update with Van der Meer as co-author and editor. The edition of 2018 became EurOtop Live and can also be downloaded for free. Researchers and practitioners are invited to improve the Manual for the next edition in 2020. Also videos on simulation of wave overtopping discharges and volumes in reality are available, www.overtopping-manual.com. An Artificial Neural Network was developed in cooperation with the University of Bologna. This ANN that can predict wave overtopping, wave transmission and wave reflection for all kind of coastal structures is free to use. Van der Meer has been co-author and reviewer of parts of the updated Rock Manual. Criteria for the selection of breakwater types and their optimum damage risk level. Working Group MarCom 47. Breakwaters with vertical and inclined concrete walls. Working group 28. Analysis of rubble mound breakwaters. Working group 12.